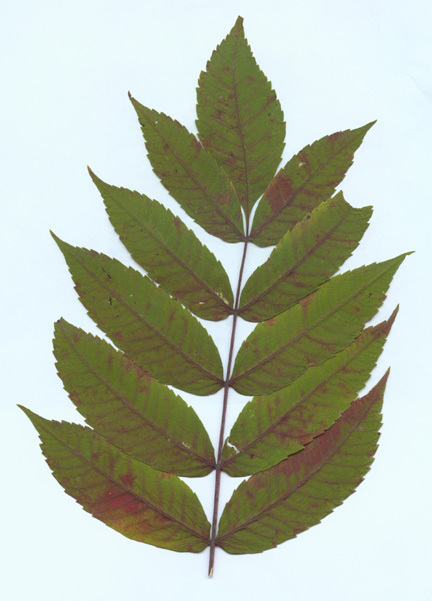 Leaves are pinnate* compound* with 15 to 20 leaflets*. Each hairless leaflet is slightly singly toothed* and symmetrical. Scan created on 10/14/02 by Chris Bersbach.